This presentation was delivered at the Reagan Presidential Library in Simi Valley, CA, on June 22, 2106, to an audience of journalists and members of the public. Welcome to the Reagan Library. This is a very special place. 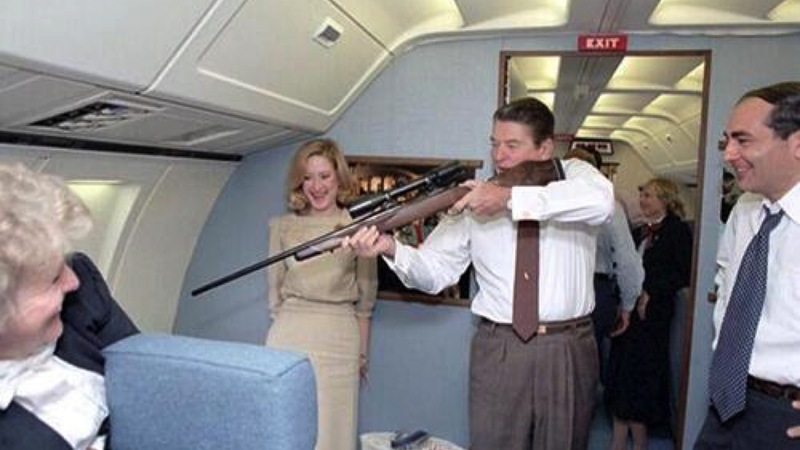 Ronald Reagan was a very special man. Behind me is a picture of Ronald Reagan joking around with an unloaded gun, aboard Air Force One, which is right behind this wall! After our event you may take your badges and check out the museum here. Be sure to go onto Air Force One and see the mannequin of the man who used to carry the nuclear football for the President. He had the button that could launch the missiles that would end in global annihilation. We can all thank God that he didn’t push that button and that safety ultimately prevailed. Sadly, the end of the Cold War didn’t make our cities any safer. Today there is a plague of violence in our inner cities that needs to be stopped. And that is why we’re here to launch a revolutionary program to finally “share the safety” with all Americans, not just those of us who can afford to live in the the beautiful gated communities like the ones right here around the Reagan Library. 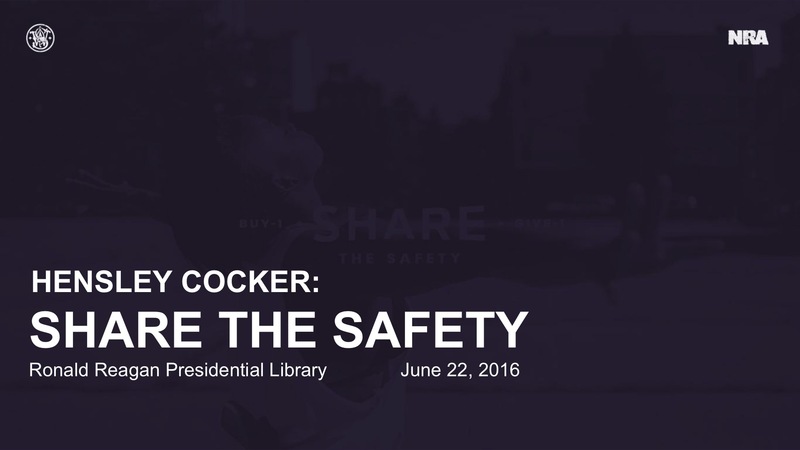 To explain how we’re going to Share the Safety, I am honored to introduce Hensley Cocker. After a career as a military advisor, he has recently taken on an even more important job in the nonprofit sector as chair of the NRA’s new Share the Safety program. It is finally ready to launch. 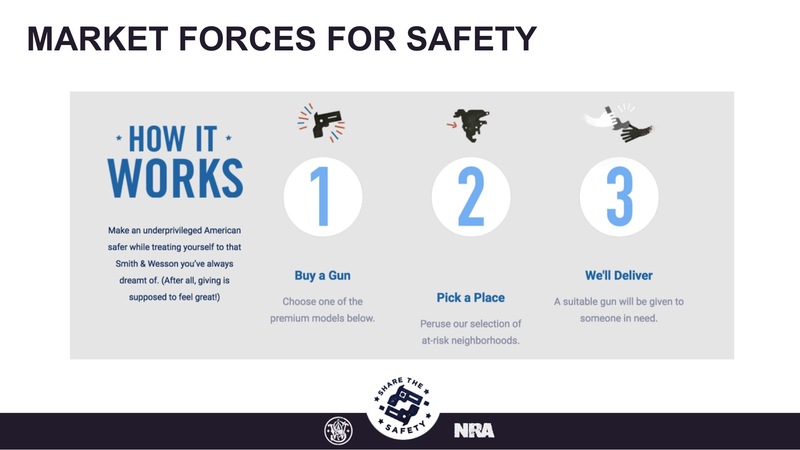 And in the wake of the nation’s worst mass shooting ever, there has never been a better time to Share the Safety. And thank you all very much for joining us here today at the Reagan Library. 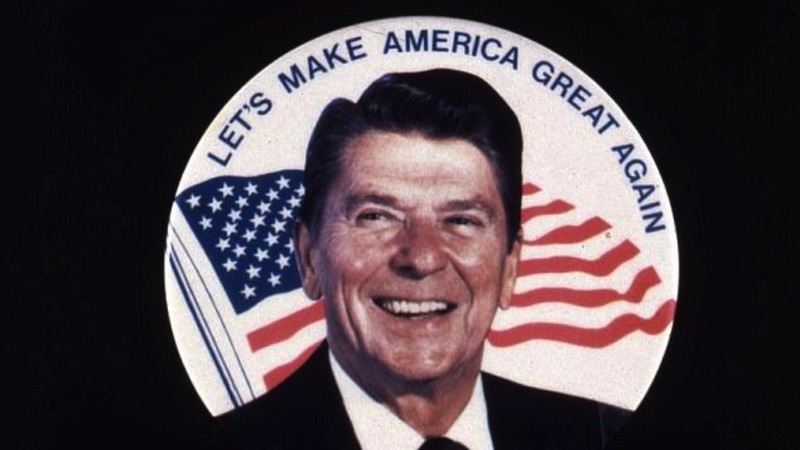 And thank you, Mr. Reagan. We really wanted to make today's announcement in the shadow of the President who meant so much for our organization. This program has been in development for a very long time. And some might say that in light of recent events, it's the wrong time to launch. But as Todd pointed out, there’s actually never been a better time. Before I explain why, I'd like to introduce Share the Safety. 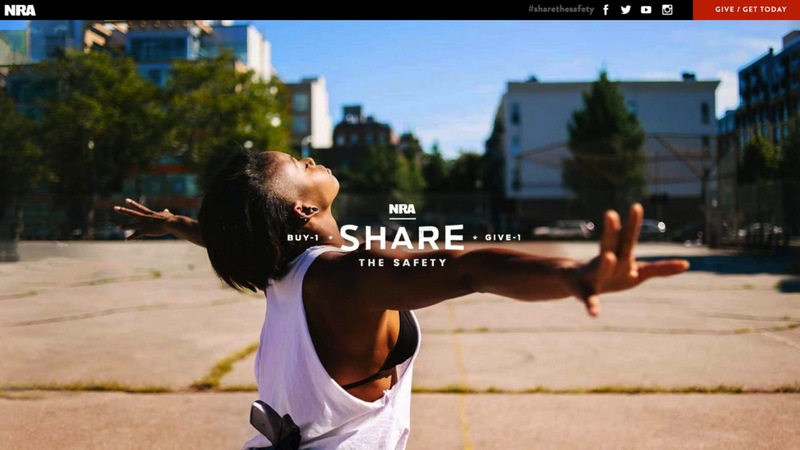 ShareTheSafety.org is a revolutionary tool to get guns to a very important group of Americans. 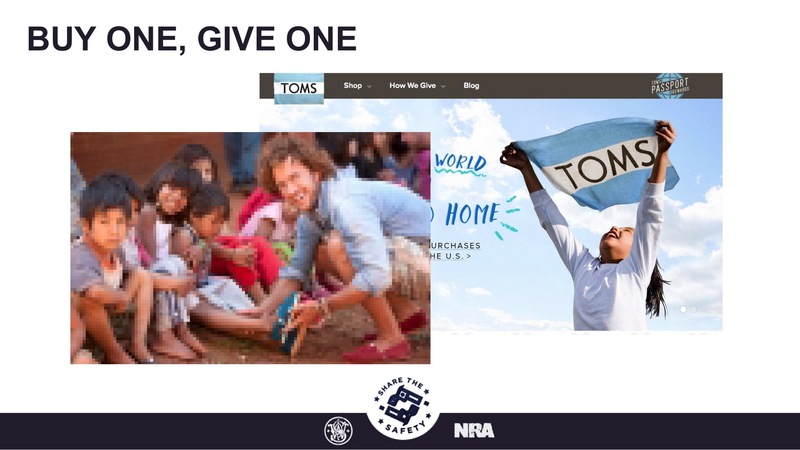 It's a Buy One, Give One program like Tom's Shoes, in which market forces are harnessed to get essential items where they're most needed. 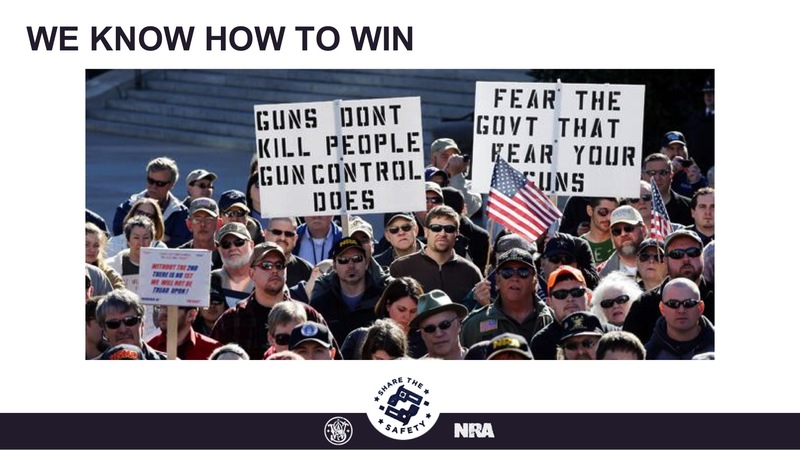 In our case, it's about getting the safety of firearms to some of America's most embattled citizens, those who face a disproportionate amount of violence at the hands of power-mad government agents. Here's how it works. 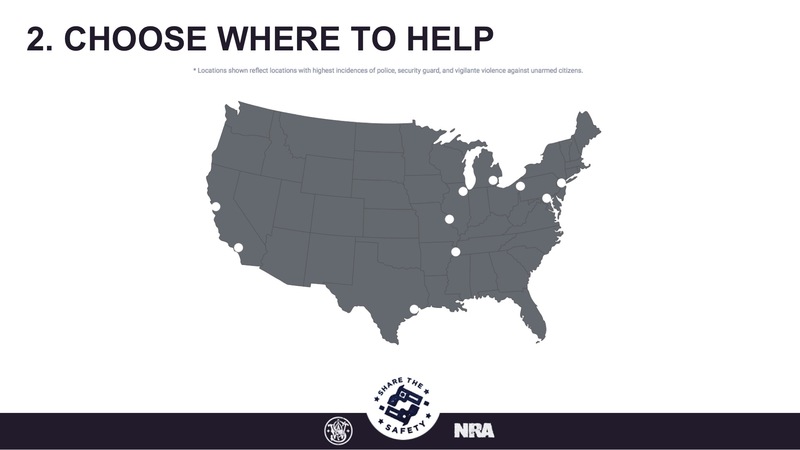 Suppose you, a regular American citizen, want a gun to protect your family—and you also want to help out someone in need. 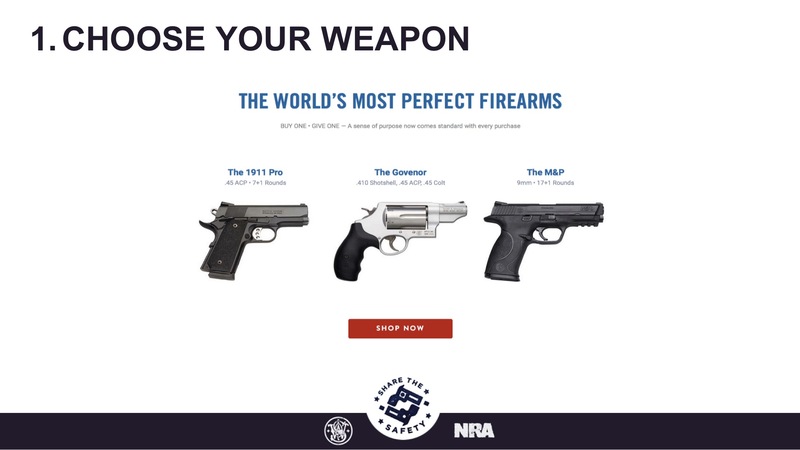 First, you choose a limited-edition sidearm from a collection hand-picked for this program. 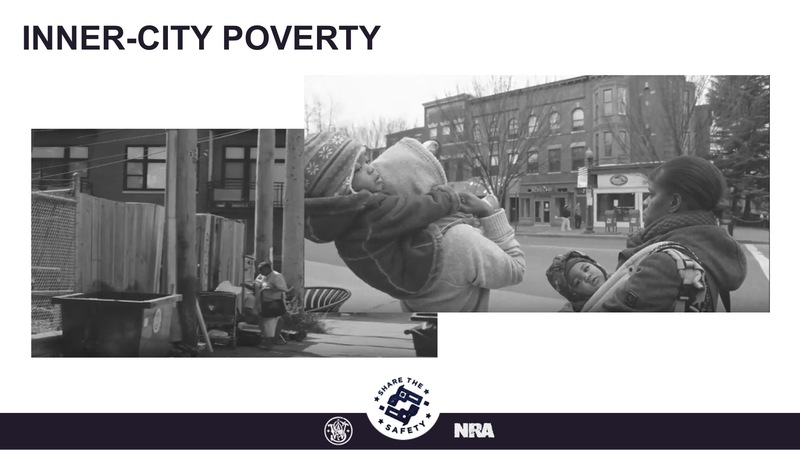 Then, you choose one of 10 underprivileged neighborhoods that face disproportionate violence from the authorities. 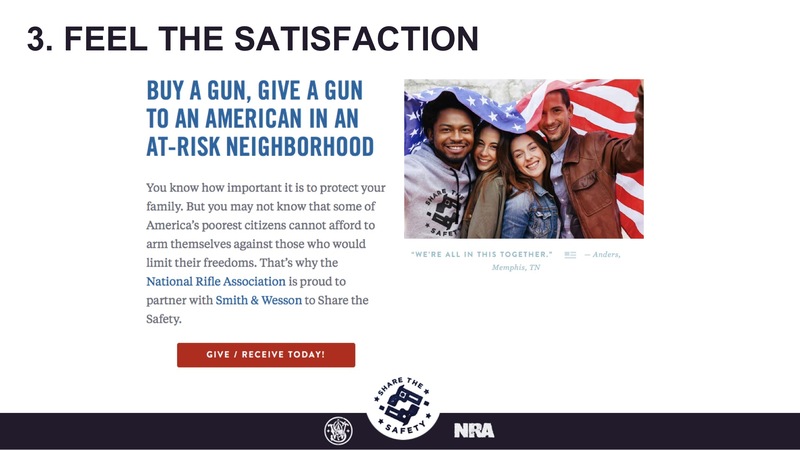 When you pay for your gun, a refurbished piece is sent to the inner-city of your choice, and delivered to a vetted and authorized resident who otherwise couldn't afford it. SharetheSafety.org is now available to the press for preview, and will go live on Independence Day, July 4th, at high noon. 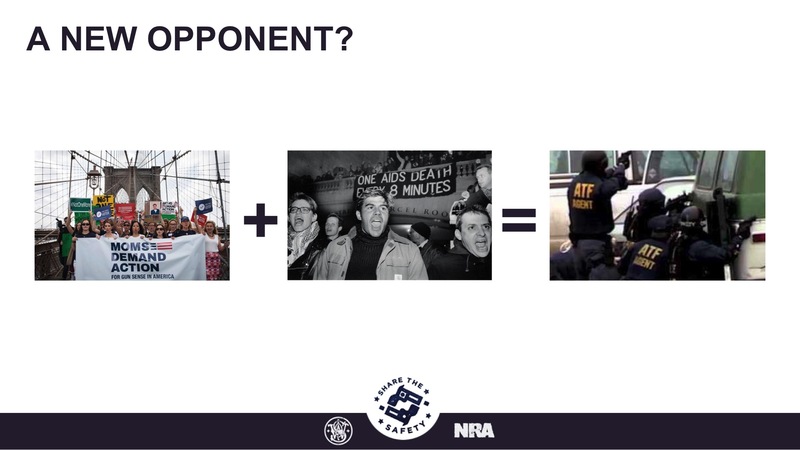 Now, a great many unarmed Americans need to experience the protection of firearms. And we're actually committed to helping them all. So why start with this particular group? 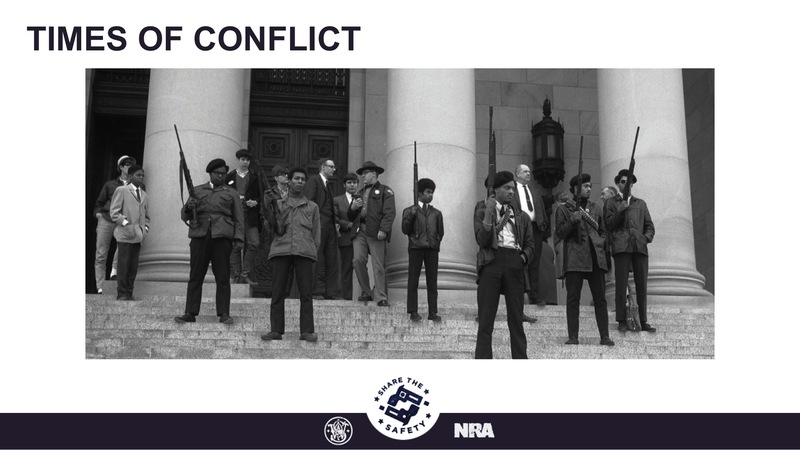 Well, way back in the 60s and early 70s, during the time of the race riots, we at the NRA began realizing that the main threat to our country and our freedom was government overstepping its bounds into the affairs of private citizens. 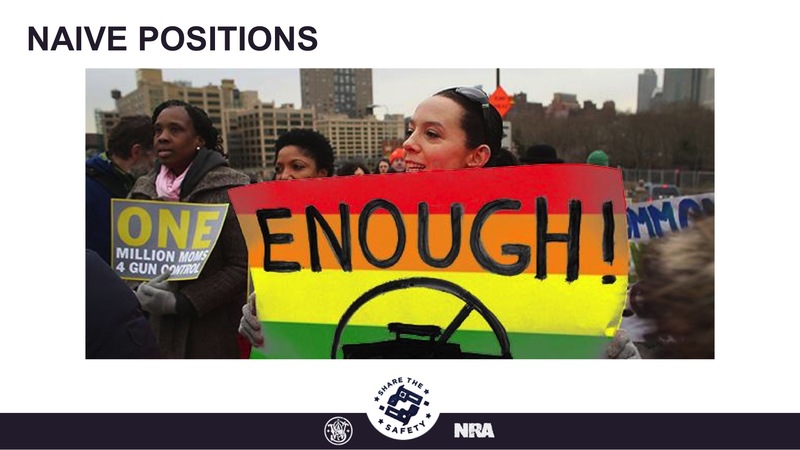 In 1977, we at the NRA made concern about government overreach the focus of our strategy to overturn gun control—and it still is. And yet who, of all Americans, are most familiar with the threat that government poses? It's almost every day you hear of some unarmed person in a neighborhood like Compton being killed by another "jack-booted government thug," as I like to call them. 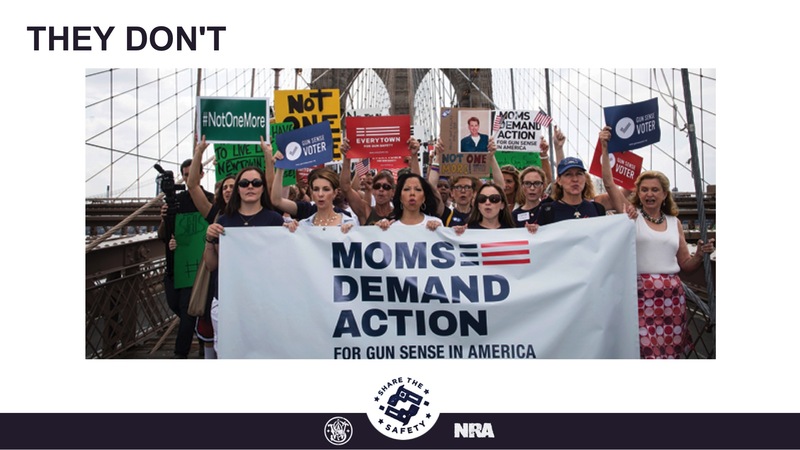 Some of those victims just can't afford lifesaving firearms—and they don't want to steal them or make an illegal purchase, which is often the first step to a life of crime. 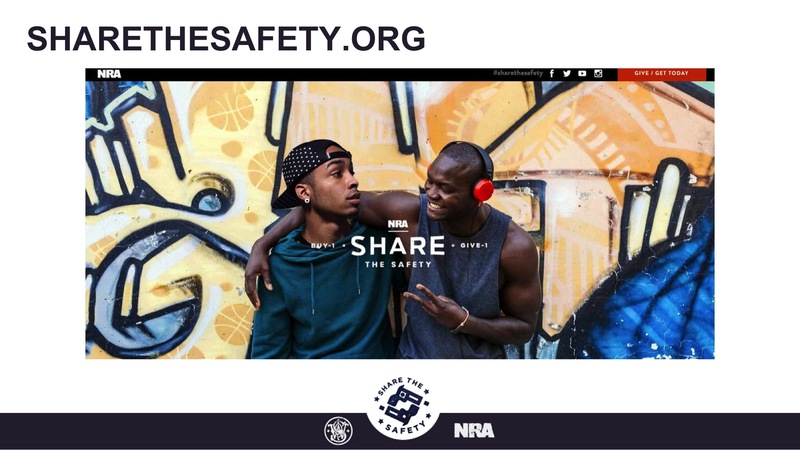 Share the Safety is about providing legal, lifesaving firearms to the Americans who need them the most. Our launch this coming Independence Day is only the start, the first of many launches. 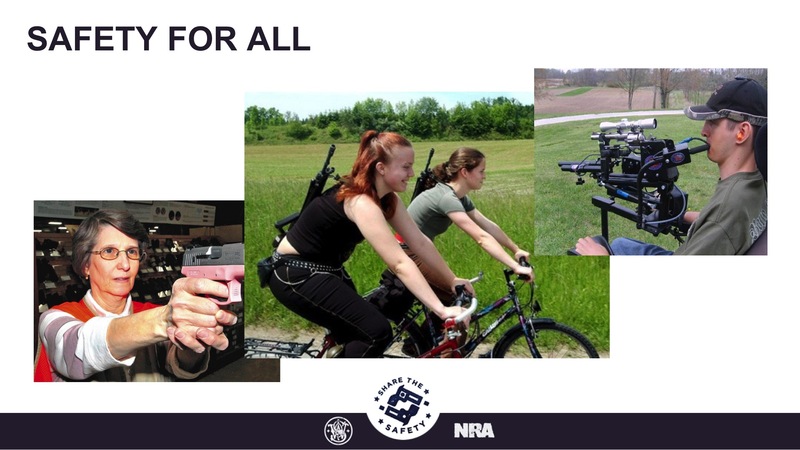 In the months ahead, Share the Safety will be taking up the cause of arming the most fatally under-armed groups in America: from the elderly, to the disabled, to coeds. But which group comes first? Who do we need to Share the Safety with next? It's pretty obvious. We all know about the tragic attack in Orlando two weeks ago. But that tragedy could be compounded by an infinitely greater tragedy—if we don't get homosexuals onto our side. Every time I read the news lately, I hear the gays calling for gun control. That's ominous, because whatever you might think of the gays, they're not some grieving parents' organization—these are battle-hardened fighters. We are too of course. We're a movement, and we benefit from the single-minded devotion of our members. That's how we've managed to hold off the erosion of American liberties as much as we have—defeating dangerous gun control legislation, and even defeating Presidential candidates, like Al Gore, who support it. But part of the reason for our success is that we haven't had a real movement against us. After each major shooting there have been ad hoc groups of enraged parents or whoever—but they've been fragmented. The gays know how to fight. In the past three decades, LGBLT activists have won two enormous battles heavily weighted against them. They've gotten marriage rights in the face of almost universal revulsion. 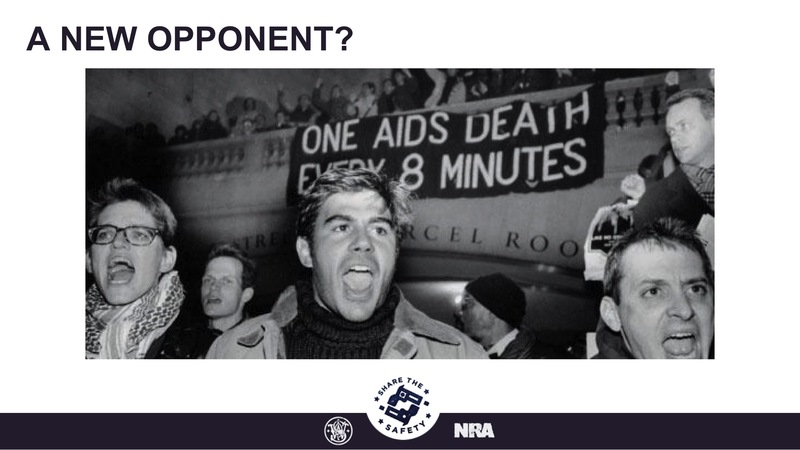 And in the 80s and 90s, they took on the US government and pharmaceutical companies to demand a treatment for their disease, AIDS—and we have to admit that they won. 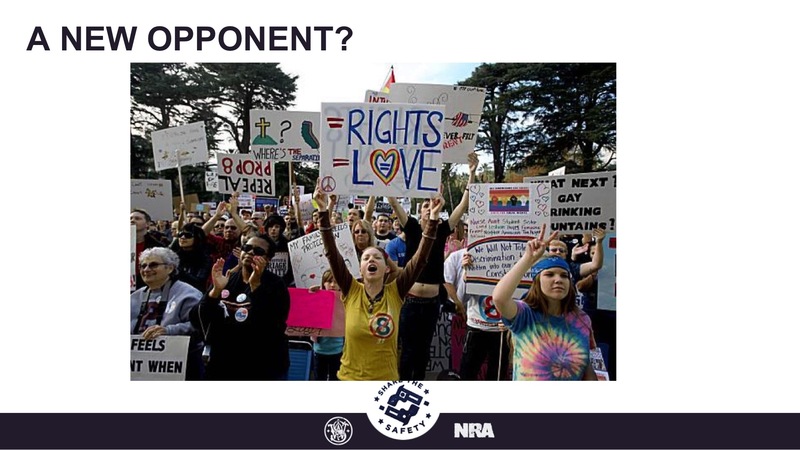 What if our old opponents join with our new opponents, and start using the tactics and strategies that worked against DOMA and AIDS? 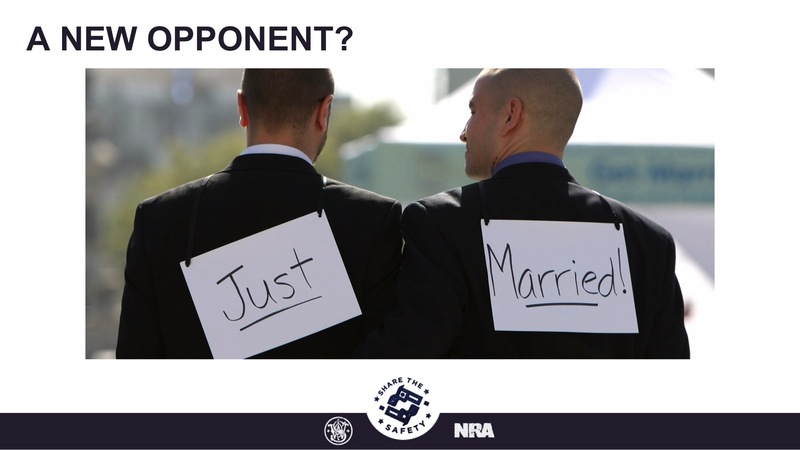 Gun rights would go the way of traditional marriage. That's why we need the gays with us, not against us. 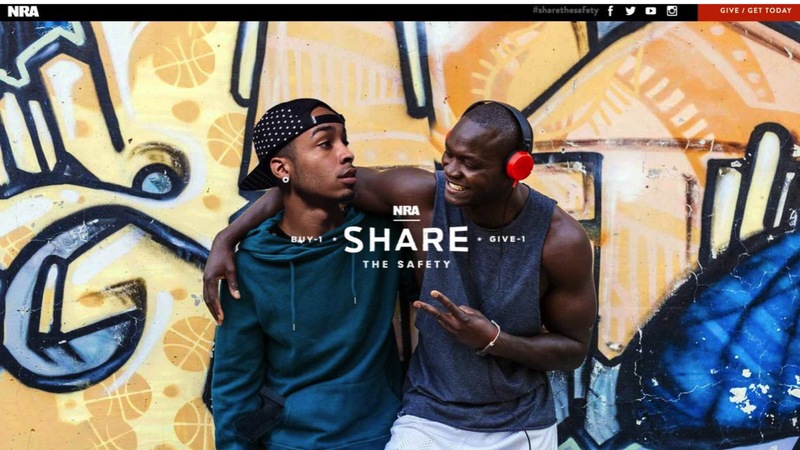 Share the Safety is committed to getting the word out that the only safe gay is an armed gay. 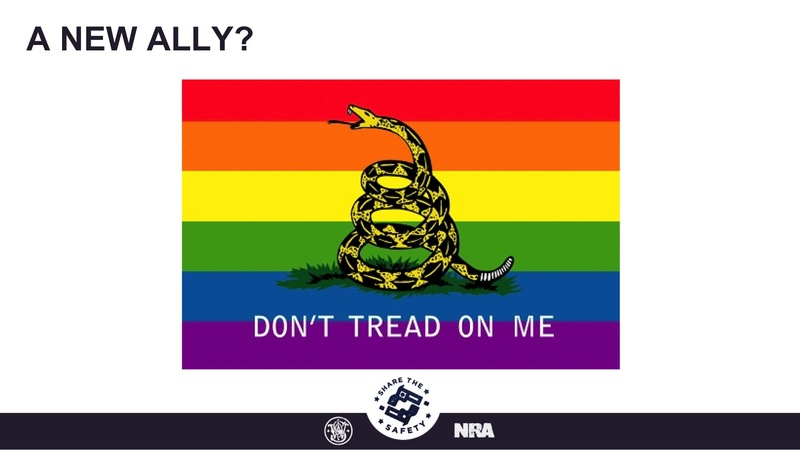 We're also working with Smith & Wesson to develop a line of firearms marketed specifically at the gays. 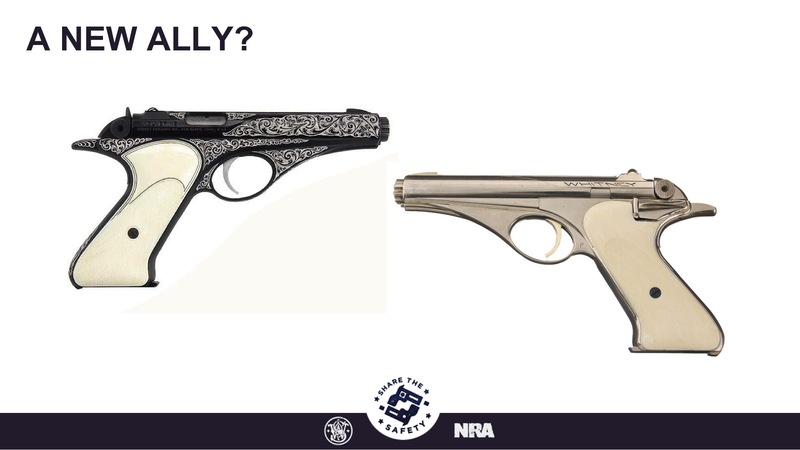 and we could easily imagine discreet, fashionable, and elegant sidearms that might go well with some of the fashion choices homosexuals make—designs that might complement a Philippe Starck décor or a fine Versace outfit. 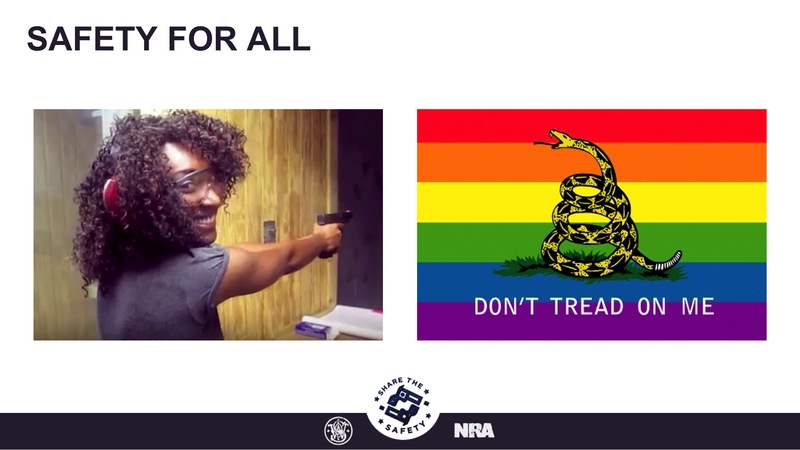 we at the NRA are devoted to ensuring that groups like the gays and the urban poor acquire lifesaving guns—so that everyone in America can contribute to keeping our freedom safe. 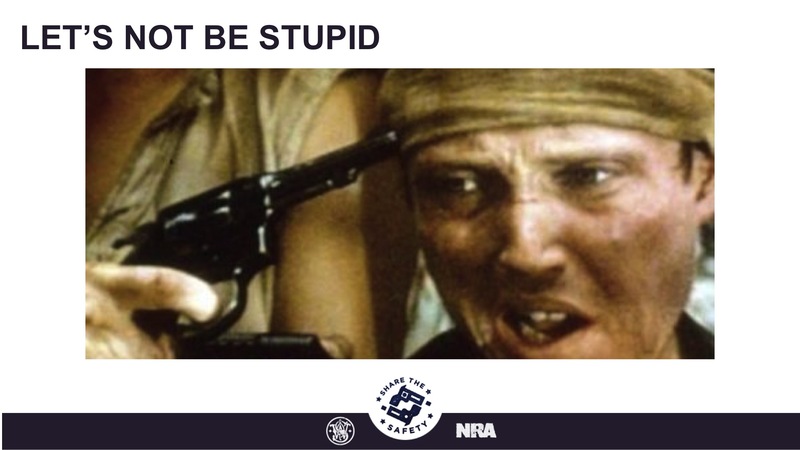 Question: Is there any evidence that more guns actually means better safety, fewer deaths? COCKER: Yes, lots. A lot of you might remember that back in 2012, after Sandy Hook, the head of our organization announced an initiative to get armed defenders into the schools in a big way—with dad patrols, more well-armed security guards, etc. Since that time, it's happened. And what do we see? Out of the 90 school shootings since Newtown, almost none have had more than 1 or 2 casualties—and over half have had only injuries. There's no reason not to think that this could work for the gays and any other targeted group. 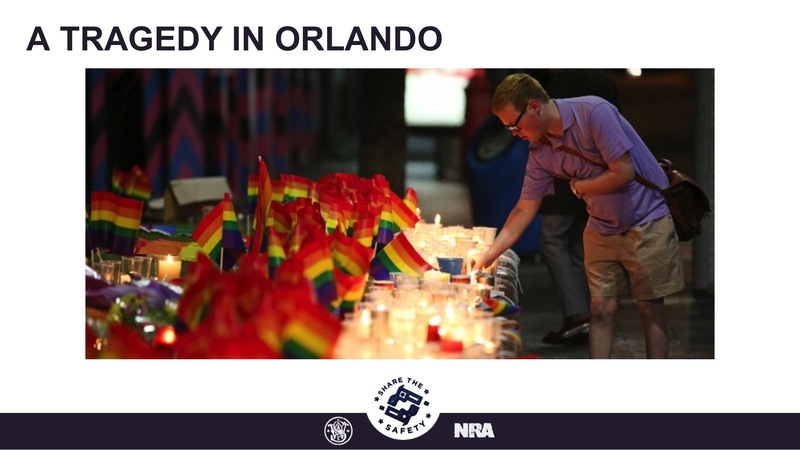 Question: As a young gay republican, I'm really excited about this program—and I think guns do need a makeover. But some people in my community who have drunk the liberal Kool-Aid have argued that the 2nd Amendment has been misinterpreted, and doesn’t actually guarantee us the right to bear arms. How can I respond to those people, and convince my friends we have the right to protect ourselves? COCKER: Well, look. I'm not a lawyer, and i don't want to get into a lot of back-and-forth on the Constitution. 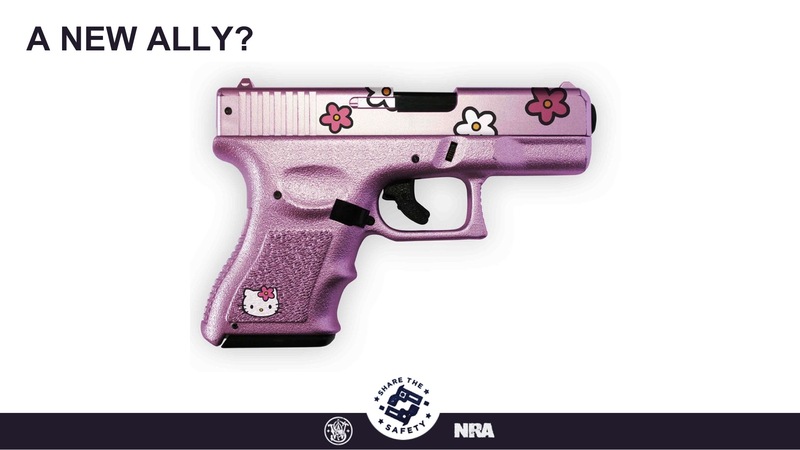 Maybe it is ambiguous about guns, i don't know. But there's one document that's not ambiguous—and that document is my gut: mine, yours, everyone's gut. I think that over the last few decades, a lot of us have been feeling more and more fear in our guts. And I think we'd better listen. After all, fear isn't arbitrary; it's evolved over many millennia, even millions of years. If my gut's got fear, I'm going to try to figure out what that fear's all about. After all, the gut does not play dice! 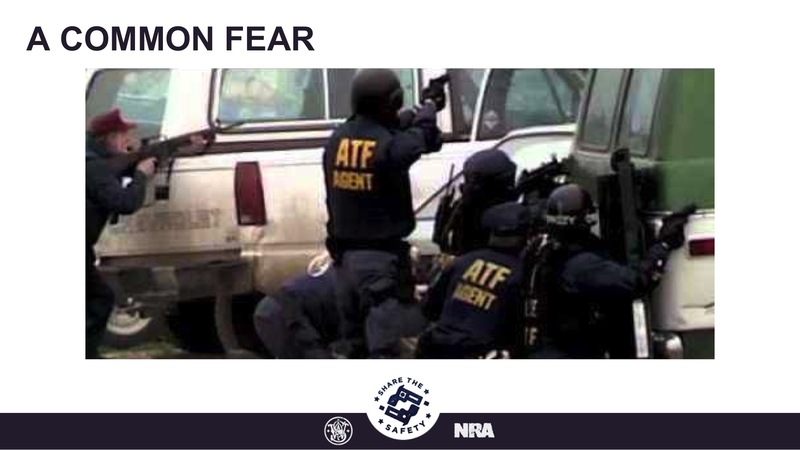 What my particular gut fears is one thing only: the government. As our leader Wayne Lapierre said back in 1995—if we roll back gun rights, it would give "jack-booted government thugs" the power to take away our constitutional rights, break in our doors, seize our guns, destroy our property, and even injure or kill us. And you can actually see this starting to happen. 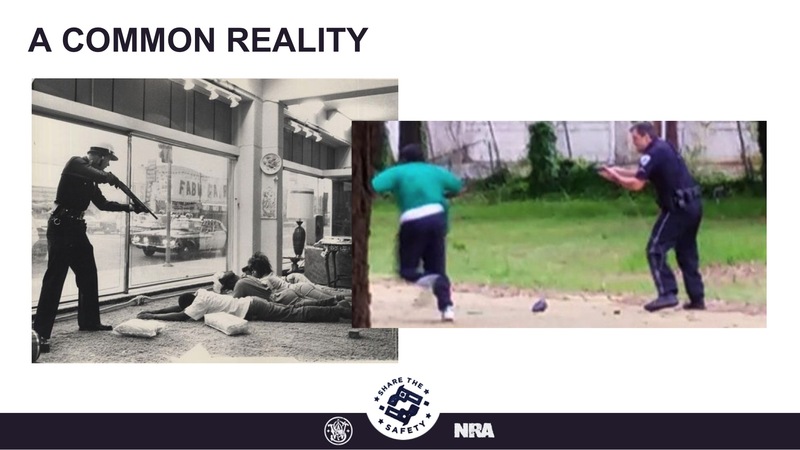 Anywhere citizens don't have guns, in countries like France and South Korea and so on, you can see the marks of jack-booted tyranny stepping on the back of the common people. And is tyranny really what you want? I mean, we can talk about gun deaths—but take a look at the sort of death tolls under the Stalins of the world or the Maos of the world. Those numbers of dead absolutely dwarf the gun deaths you see here in the US today. Do you want our gun deaths, or do you want their gun deaths? If we have to enact gun control, we're gonna have to take the guns back, and you're gonna basically have Stalin and Mao right here. So it's a choice. Also, I don't think Stalin was too fond of the gays, either.